The gold filled items (alloy of brass, silver and 1.20 AU 14KT) are a product category much in demand especially in the North American market. 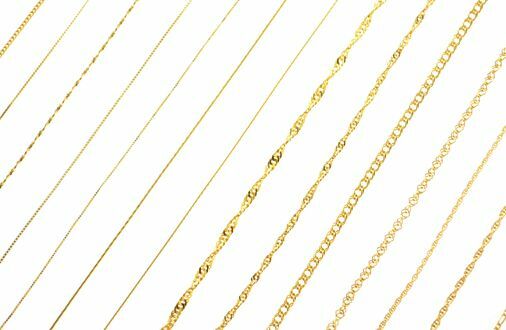 His line, is expressed essentially in the form of more traditional chains. They are the perfect compromise for those looking for the look of gold items at a lower price without sacrificing the exclusivity guaranteed by the precious metal component of this alloy.